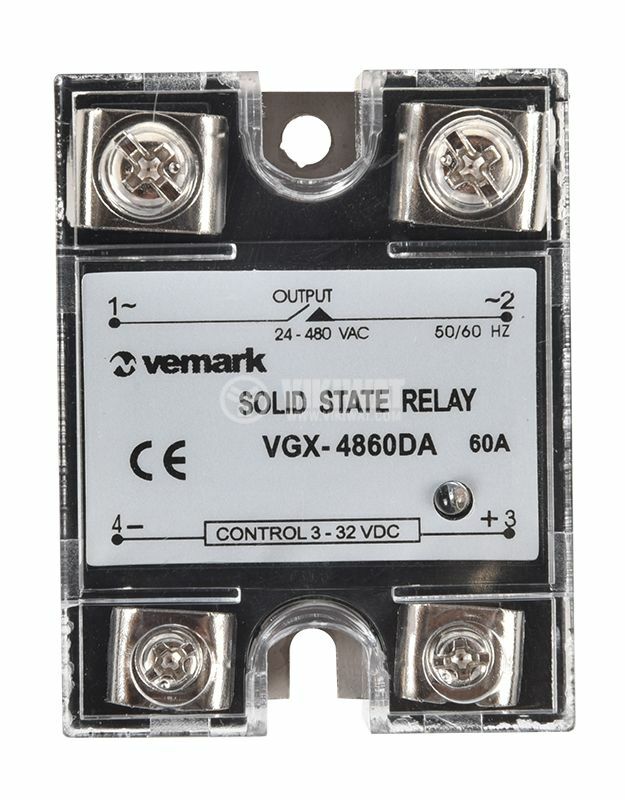 Solid State Relay VGX-4860DA 3-32VDC 60A/480VAC. List Price 39.90лв. VAT Incl. 37.90лв. VAT Incl. 35.90лв. VAT Incl. 33.90лв. VAT Incl. 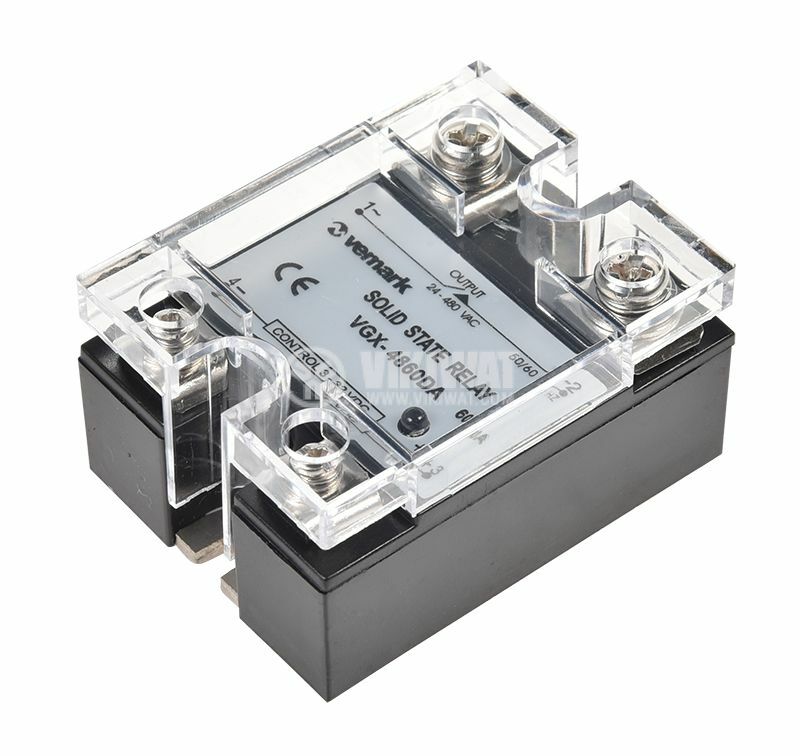 The maximum load current is achieved using a corresponding heatsink.